After indexing the content and the next task that was covered was searching for the user input string. The #queryString: does a fantastic job as of now. The search results were printed in a scroll-able pane by iterating through a loop so as to cover each and every existence of the desired string. 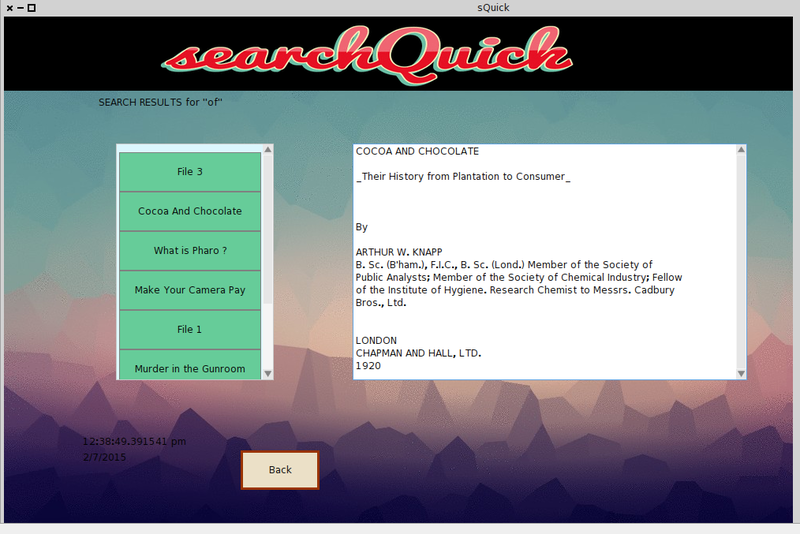 The search results window also enables the user to view the content of the chosen file. Acting on the suggestion of my mentor, I have also loaded the Pharo image with text versions of large books (Thank You Project Gutenberg 🙂 ) to test the working of the search function.